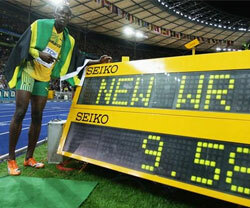 The argument for casein is that it is slower to digest than whey protein, so let’s start there to see if that is true. 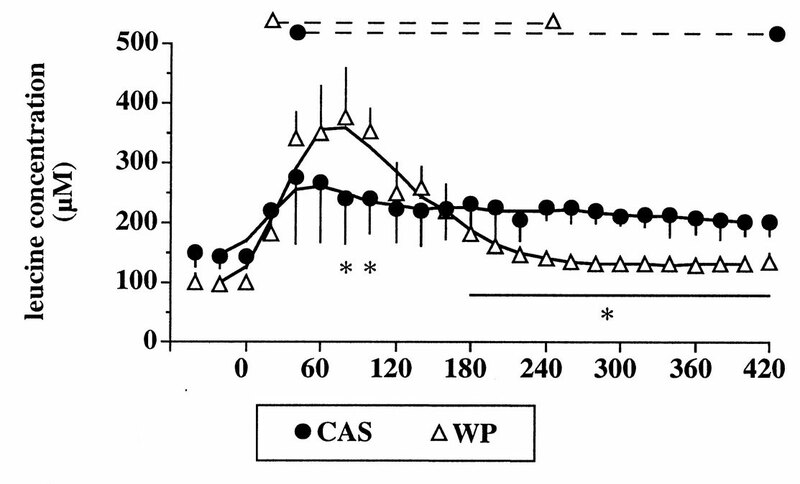 This study compares whole body leucine concentration over the 8 hours following a meal including casein or whey. The chart below shows clearly that whey induces a large spike but is nearly gone within 3 hours while casein remains in the body after 8 hours. This data suggests that casein can help to keep your net protein balance positive for the whole 8-10 hours that you sleep. Whey by comparison would induce a positive net protein balance for the first 3 hours of sleep then likely a negative protein balance for the remainder of your sleep. So let’s look at more data and see just what sort of results casein before sleep can provide. In this study, participants did resistance exercise then took post-exercise protein+carbs then before sleep they were given either casein or a placebo. Eating after a workout or taking a post-workout supplement is a good choice, but this study shows whether casein before sleeping provides additional benefits for a person who is already in a well-fed state – a very useful research topic. 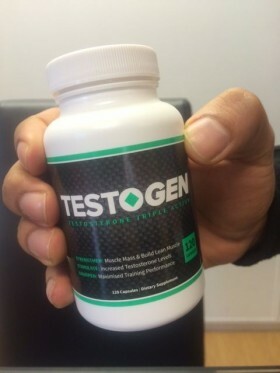 Protein synthesis was elevated by 22% for the 7.5 hours of sleep in the casein group. The placebo group had a minor negative protein balance for the night while the casein group had a moderate positive protein balance for the night. This result is impressive; it shows that even if you’re eating enough, taking casein before sleep can provide significant benefits. It should be taken half an hour before sleep, about 20-40 grams. 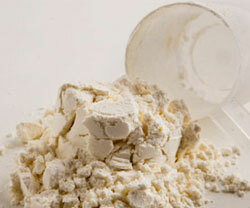 Casein is found in milk (about 80% of the protein in milk is casein) and in powdered supplement form. You will need to drink about a liter of milk or a scoop of powdered casein. 1 liter of milk might have you waking up to urinate (which will negatively affect your testosterone levels slightly, by decreasing your sleep) so the powder will be preferable for most people. I would go with a powder that is well priced and tastes good. No Responses to "Casein Protein Before Sleep"